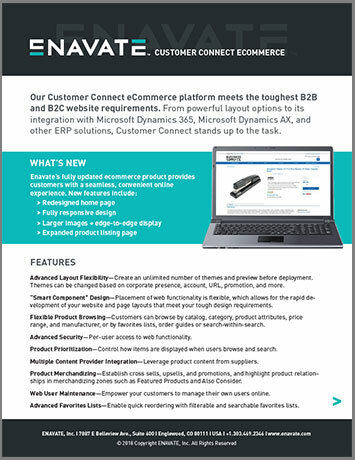 ENAVATE’s Customer Connect eCommerce web platform has been designed to meet the toughest B2B and B2C Wholesale Distribution website requirements. From powerful layout options to its full integration with Microsoft Dynamics, Customer Connect stands up to the task. Advanced Layout Flexibility—Separation of web presentation and business logic allows us to quickly meet your toughest web layout design requirements. Create an unlimited number of website layouts (“themes”) and preview before deployment. 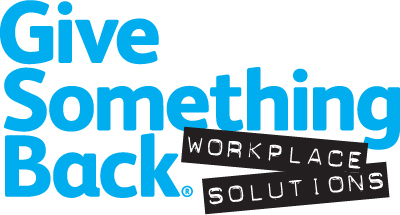 Themes can be triggered to change based on corporate presence, customer account, URL, company promotion, etc. “Smart Component” Design—Utilizing our “Smart Component” architecture, placement of web functionality is extremely flexible and allows rapid development of website theme and page layouts that meet tough design requirements. Flexible Product Browsing—Customer Connect provides multiple ways to locate products. Browse by catalog, category, product attributes, price range, and manufacturer. Targeted product search allows rapid search results against catalogs, favorites lists, order guides or search-with-in-search. Just starting out with the web? The power of the internet means that even the smallest companies can leverage an eCommerce site to grow and better manage their business. Standalone eCommerce sites are a way for distributors to get started—or improve—online sales without breaking the bank. ENAVATE's eCommerce solutions for dealers, distributors and resellers.